Registration for the final session of swim lessons, Session 3, will begin Friday, July 20 at 4:00 p.m. and will run through 4:00 p.m. Wednesday, July 25. Once registration opens, go to the Members Area registration page for the portal to the swim lessons "store". If the store still appears closed during the time registration should be open, please refresh your browser and/or clear your cache. Each learn-to-swim class lasts 45 minutes, 5 days a week, Monday through Friday, for 2 weeks, weather permitting. Classes canceled due to weather will not be rescheduled. After lessons end each day, participants are welcome to stay and swim when the pool opens at noon! Descriptions of objectives for each class level can be found here. The fee for each two-week session is $60 per child. The main swim lessons page, with links to all swim lesson information, can be found on our website. Please email [email protected] with any questions. 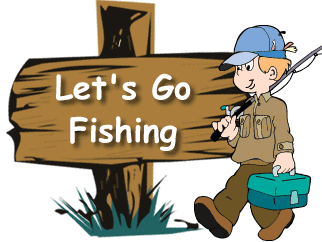 Join your family and neighbors for a day of fishing and fun! The Fishing Derby is FREE and open to all Muirfield Residents and their families! The sign in table will open starting at 3:30 p.m. to pick up official packets. Graeter's ice cream truck will also be on site starting at 3:30. The Fishing Derby registration email is coming soon! Watch your inbox! Register early as the first 200 registrants will get a free ice cream treat from Graeter's! We're looking for volunteers to help set up, work registration tables or to be a fish judge. If you're interested in volunteering, email [email protected]. See you there! To solicit door to door in the City of Dublin, a permit is required. Permits are issued by Greg Jones, Code Enforcement Supervisor. Each applicant must submit a background check, their driver’s license, and $90.00 for a 30 day permit. Each permit is sent by email to the Dublin Police Department and every officer has access to the list of approved permit holders. Each solicitor is issued a badge (see below) and they are told that it must be worn front and center on their person. It is even suggested that they hold it up and state that they are an approved solicitor in the City of Dublin. Each badge has an expiration date listed. If anyone comes to a resident's door and they do not have a badge, the resident should call the non-emergency police department number at 614-889-1112. If an approved solicitor is rude, pushy, or otherwise a nuisance, call Greg Jones at 614-410-4647. If a resident invites a solicitor to come to their property, no solicitor’s permit is required. No permit is required to place flyers or other marketing materials in the wooden mail slot area located under the mailbox. (The USPS does not permit anything to be put into the mailbox itself other than mail.) However, a solicitor's permit is required to take those same materials onto the property, such as putting flyers on doors or porches. Those who are disseminating a lawful message (political or religious) and not soliciting funds do not require a permit. Permitted hours of solicitation are 9 a.m. to 9 p.m. Monday – Saturday. Solicitation is not permitted on any Sunday or Holiday. If their permit is not visible, ask to see it. If they refuse to show you, call the Dublin police at 614-889-1112. The police will tell them to leave the area. If the solicitor repeats the behavior, they can be fined. If you are in doubt of the validity of a solicitation permit, call the City of Dublin Development Department at 614-410-4600. They have a list of all persons and companies who currently hold a valid permit. 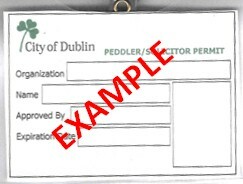 City of Dublin “No Peddlers or Solicitors” green or clear door clings are available. Residents can pick up clings at 5800 Shier Rings Road. Residents are permitted to display these clings or other “No Soliciting” signs on their front doors. (Signs are not permitted in the yard or on mailboxes). Solicitors with a valid permit are required to obey “No Soliciting” clings. As a reminder, even if a solicitor has a permit, all changes to the exterior of the property must be approved by the Muirfield Design Control Committee before any work begins. If a contractor or company states that their products or services have been approved by Muirfield, this is not true. Nothing is pre-approved. Everything must be reviewed and approved in writing by the Design Control Committee. For more information from the City of Dublin regarding soliciting, read "No Peddlers/Solicitors" Policy. 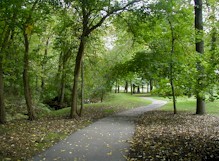 Muirfield has over 29 miles of paved pathways that wind through beautiful areas of woods and open areas. All residents are welcome and encouraged to take advantage of the pathways! Walkers, runners, children, pets, cyclists, and rollerbladers are all welcome in addition to strollers, wheelchairs, or persons using medical mobility aids. Bicycles and other self-powered devices are welcome, but motorized, electric, or battery driven vehicles of any type (with the exception of medical devices) are not permitted. Per Dublin city code, all pets must either be leased or under the direct control of the owner at all times and owners are responsible for cleaning up after pets. For the safety and comfort of all users, please use common courtesy and be on the alert for others. Slower walkers, children, people with strollers and those using medical devices may not have time to respond quickly enough to those traveling faster than they are. If you are traveling faster than other users, please announce yourself when passing someone. This could prevent a collision that may injure both parties. Your fellow Muirfield pathway users will appreciate it! Need to find your way? There are maps of the pathways available here.